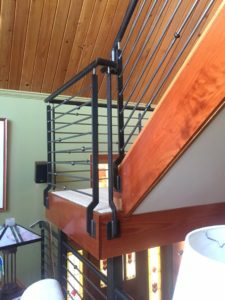 This horizontal bar railing offers a very clean and crisp look. The customer gave us artistic judgment to place the decorative bushings. The mounting posts are artistically placed based on the architecture of the staircase. 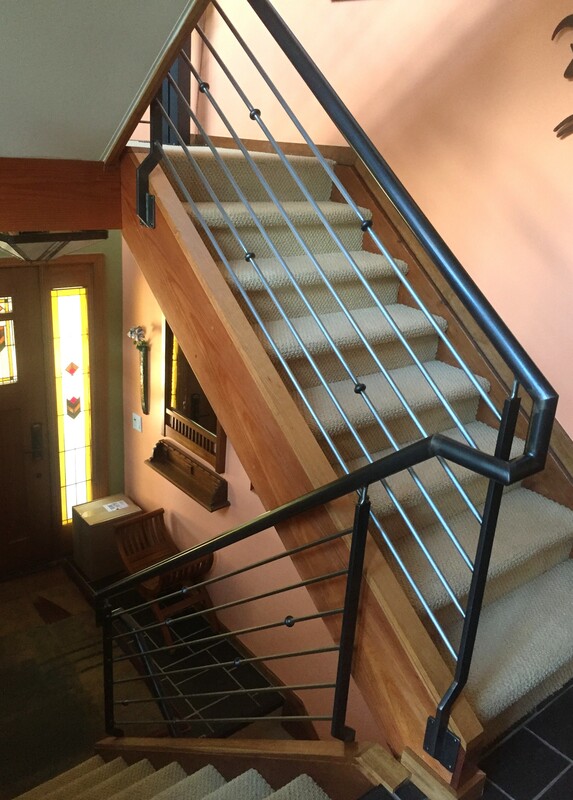 With a natural gun metal finish, this railing will be functional art and a beautiful upgrade to this Boulder residence. Contact us and reference the horizontal bar with bushings railing if you would like to discuss a similar design.